KCTL’s 2nd Annual Doubles Open! 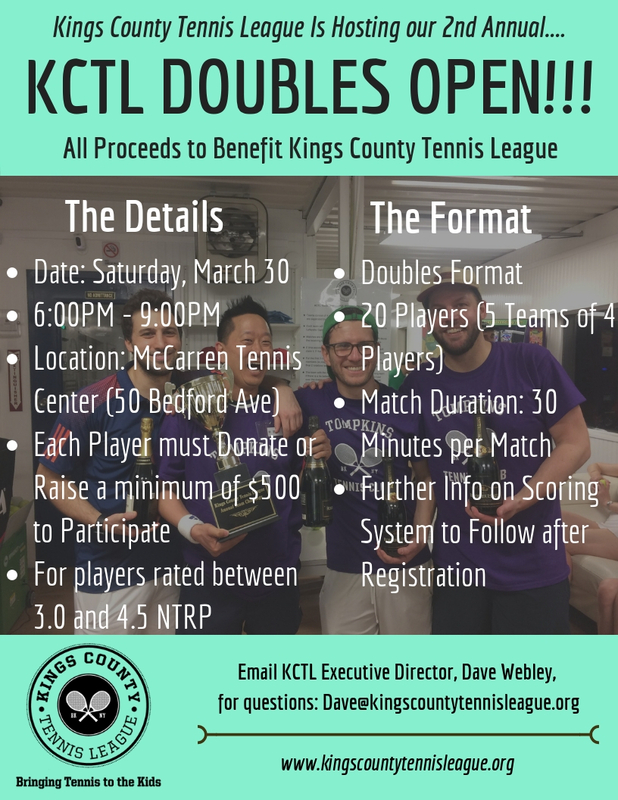 On Saturday, March 30th from 6:00PM - 9:00PM, KCTL will be hosting our 2nd Annual Doubles Open Tournament at McCarren Park Tennis Center in Williamsburg, Brooklyn. All funds will be used to expand KCTL's programming at our newest site, Ingersoll Houses! There will be a prize (to be announced soon) for whomever raises the most funds! To register, click here or the button below.